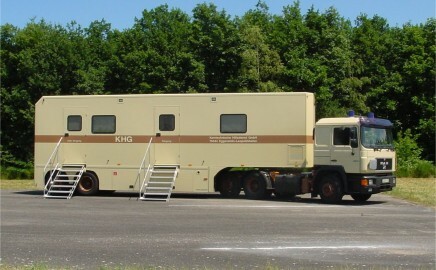 a semi-trailer with two permanently mounted measuring systems. 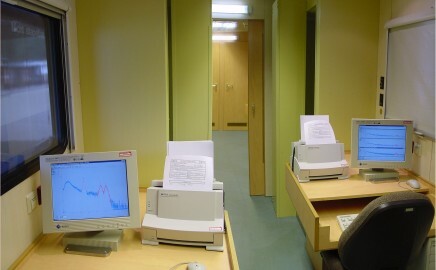 The personal data of the person to be measured is collected in the entry area and stored in a central databank. Afterwards, the persons are measured whilst standing in the measurement chamber. of different heights to be measured, including the thyroid gland.